As mention, this is the website. 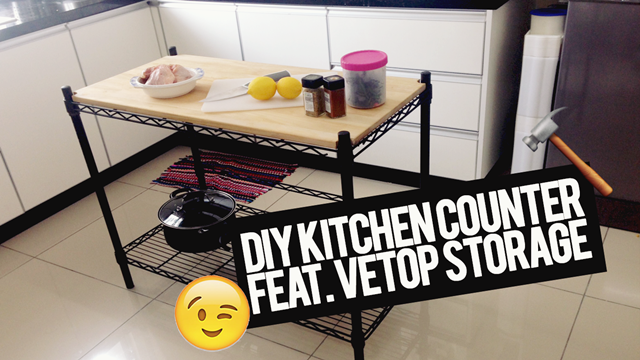 It is the Vetop Storage. It only takes 8 minutes for my husband to completely finish building the kitchen counter that I mention about. the wood shelf on the top part really makes it looks like an expensive kitchen counter. Anyone can build this thing, you do not need any other tools such as hammer or nails. The compartments uses this clip on clips on each levels and combination of the parts. The levels and shelf bar are very very sturdy. Pretty heavy and it is a real solid metal. So no worries! I just love the wooden shelve finishes! 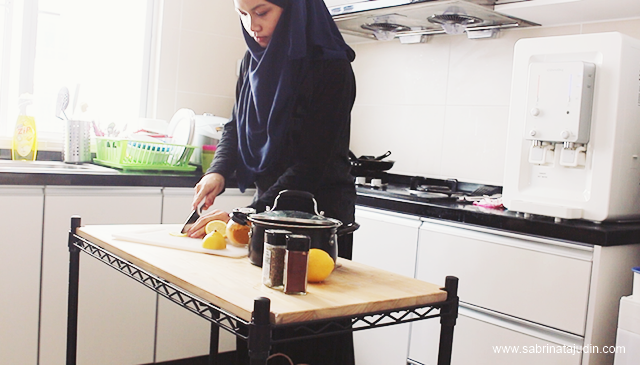 I could say since I have this table top as my kitchen counter, my cooking process has never been faster and easier. I can lay the ingredients and utensils on the table top and so all the chopping on the table top. There are more ways to customize and ways to use the shelves. You can use it in your living room, kitchen, children play room and more!